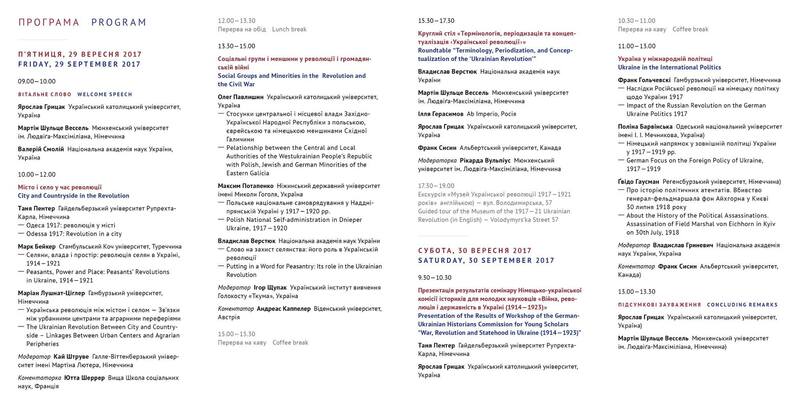 On 29-39 September 2017 the Deutsch-Ukrainische Historikerkommission [http://www.duhk.org/ ] (DUHK, German-Ukrainian Historical Commission) held a conference on the turbulent period of Ukrainian and European history: the 1917 Revolution (Great Conference Hall of the NASU, Volodymerska Street 57, Kyiv). The conference is timed to the century of revolution, which will be commemorated in Ukraine this year. The discussion covered issues of state-building ideas at the beginning of the 20th century, the “Ukrainian national revolution”, the first steps of the Ukrainian state and its struggle for independence. As well as, German occupation of Ukraine, the impact of the Russian Revolution on the German Ukrainian politics, Ukrainian foreign policy towards Germany in 1917-1919 and the case of political assassination – the death of German Field Marshal von Eichhorn in Kyiv on 30th July 1918. 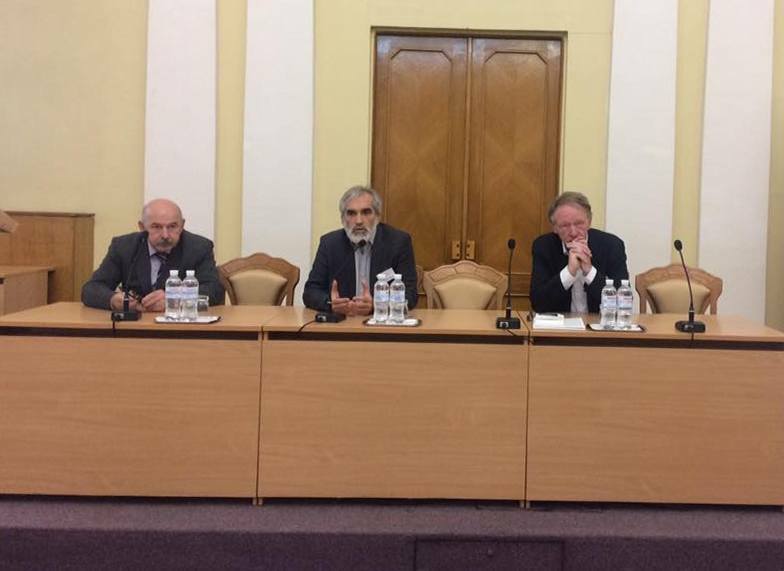 The two-day meeting was a fruitful place for discussion on Ukrainian-German past relationships, the concepts of city and countryside and their role in the Revolution; social groups and minorities in the Revolution. 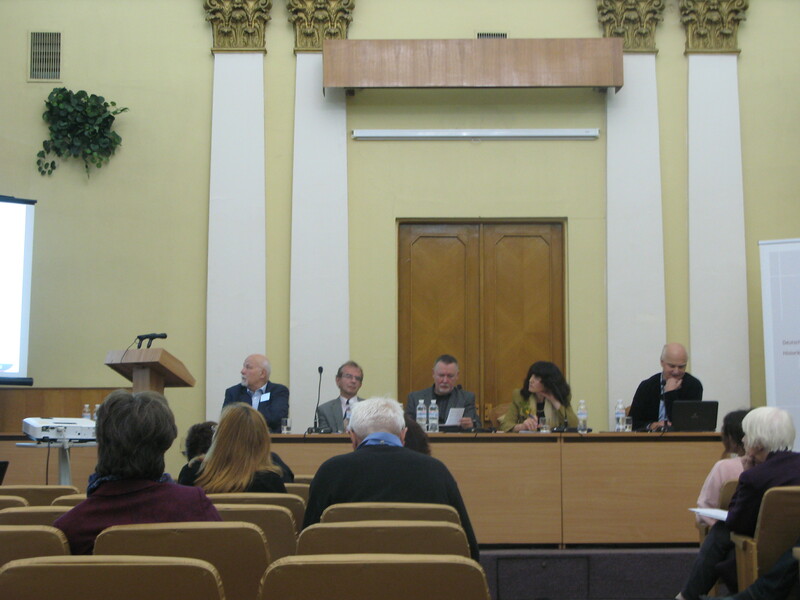 Special input was given to academic session: “Terminology, periodization and Conceptualization of the Ukrainian Revolution” among other focusing on the Ukrainian national narratives of the revolutionary events. At the same time, the Soviet concept of the “Great October Revolution” and its geopolitical implications for Central and Eastern Europe was analyzed. Among others the question of Polish national self-administration in Dnieper Ukraine, 1917-1920 and Relationship between the Central and local authorities of the West Ukrainian People’s Republic were examined. Separate discussions were dedicated to rural and urban spaces during the Revolution, development of Bolsheviks movement among the peasantry, how the military mobilization of Ukrainian peasants change everyday life in Ukrainian rural areas, the multinational perspectives of 1917 Revolution in the city of Odessa. Including, the role of individual of the Revolution and question about his identity (self-understanding). Among the participants were representatives from academic history institutions, well-known historians from Ukraine, Germany and France, Turkey as well as journalists, members of NGOs, researchers from related fields. The event was attended by NGO “Poruch” volunteer Roman Nekoliak. The curriculum of the conference, themes that were risen, it’s findings and proposal become a basis for a future publication. The Commision put great effort on conducting practical research workshop for young historians. 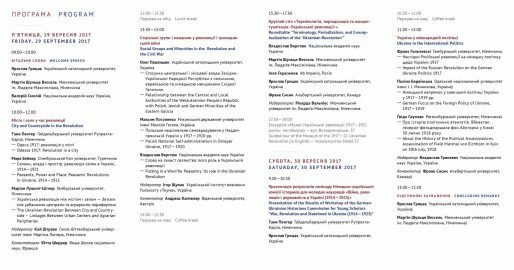 Conference include guided tour of the Museum of the 1917-21 Ukrainian Revolution (Volodymerska Street 57, Kyiv). A conference of the German-Ukrainian Historical Commission was supported by DAAD [ https://www.daad.org/en/ ] (German Academic Exchange Service), Robert Bosch Stiftung [ http://www.bosch-stiftung.de/content/language1/html/index.asp ] and in cooperation with the Institute of History of Ukraine of the National Academy of Sciences of Ukraine [ http://history.org.ua/uk ]. 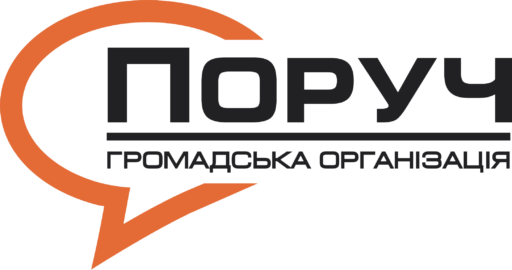 A ceremony of recognition of the successful implementation of project "Business English for internally displaced persons"
The volunteers of the NGO “Poruch” were facilitators of the training program "Active Citizens"